Mike Phillips and son, Lisco, NE. 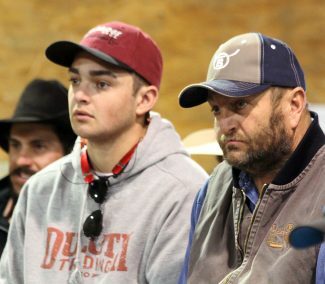 Gray's Angus bull buyers. Brady Cross purchased bulls for Strategic Beef, Harrisburg, NE at the Gray's Angus sale. 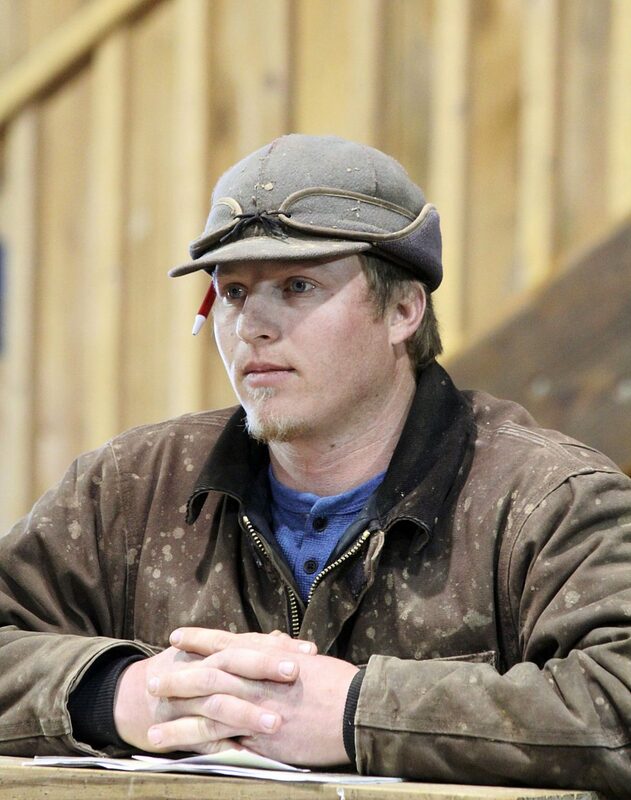 Tim Sanders, Custer, SD got a couple Gray's Angus bulls. 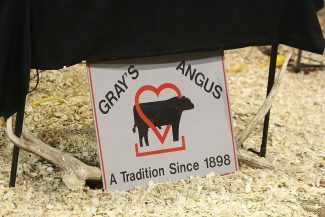 A beautiful sunny day with a slight breeze welcomed the Gray Family for their annual bull sale. This was a postponed date from March 16 when the weather was not as agreeable. 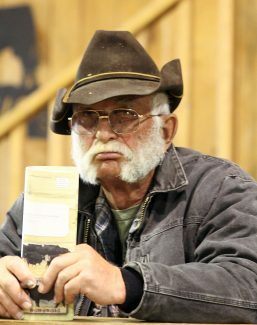 Though they didn't actually get the amount of snow forcasted for the ranch, there was plenty of snow in the local area. The bulls in this sale were fed a growing ration, with a 3 pounds per day gain goal. The bulls looked fantastic with a large selection of both calving ease and growth bulls that are sound. Volume buyer David Wright, Double Yoke Ranch, Neligh, Neb, took home 14, 2- year olds.